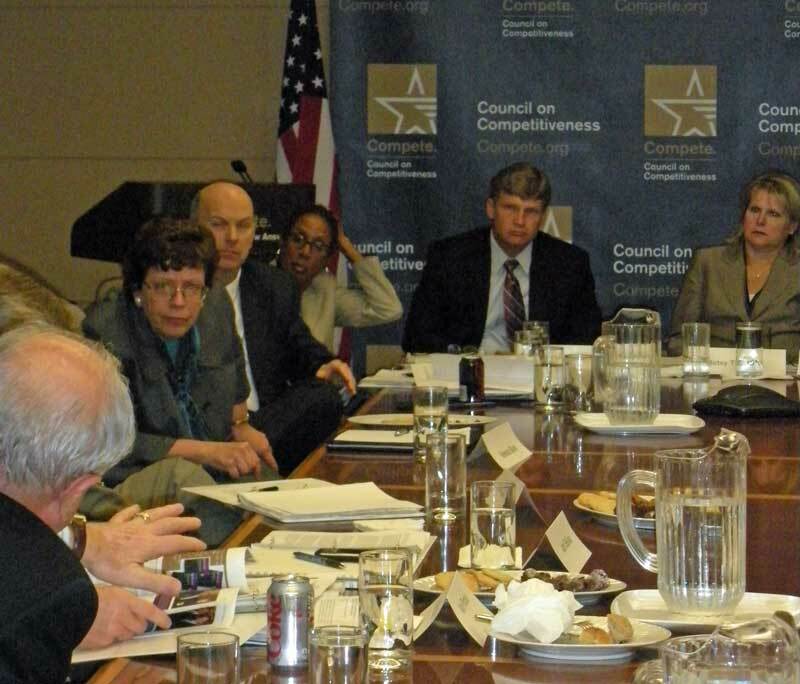 Yesterday, I spoke to the Council on Competitiveness Executive Board about how the Commerce Department, working with the National Economic Council, leads the administration’s efforts across the federal government to promote a vibrant manufacturing sector in the United States. Manufacturing is vitally important to supporting an economy that is built to last. Manufacturing accounts for 90 percent of our patents, 70 percent of private sector R&D and 60 percent of our exports–including a record $1.3 trillion in goods exported last year. The manufacturing sector has grown strongly over the past two years. After decades of losing manufacturing jobs, the manufacturing sector has been adding jobs for over two years. In the past 25 months manufacturing has added nearly a half million new jobs and 120,000 of those came in the first three months of this year. Importantly, these tend to be high-paying jobs with good benefits. Even with these improvements in the manufacturing sector, there is much more work to do to ensure America remains competitive. The Department of Commerce recently released a report, “The Competitiveness and Innovative Capacity of the United States,” that discusses some of the challenges the U.S. faces in retaining its global leadership, particularly in manufacturing, and lays out a policy agenda to address these challenges. Commerce has long worked on this issue through its Manufacturing Extension Partnership at the National Institute of Standards and Technology, which supports centers in every state that consult with companies facing technological problems and puts them in touch with scientists and engineers who can help solve those problems. For every dollar of federal investment, the MEP generates around $30 in new sales growth. This translates into $3.6 billion in new sales annually. The U.S. Patent and Trademark Office (PTO) is working hard to implement the America Invents Act, passed last September, which is aimed at modernizing the U.S. patent system over the next 2-3 years. This includes efforts to expand PTO resources to ensure that decisions are made more quickly and to harmonize U.S. patent processes with those around the world. The International Trade Administration has worked to expand exports as part of the National Export Initiative. For instance, they are running a creative partnership program with UPS and FedEx, working with them to identify businesses that might be interested in expanding their exports. The Economic Development Administration continues to support grants for regional industry clusters that maximize the specific manufacturing strengths in areas around the U.S.
And to ensure that all these efforts are aligned for maximum synergy, the Secretary has created an in-house Manufacturing Policy Task Force. America’s middle class is built on the strength of our manufacturing sector. We cannot let up on our efforts to create more good-paying jobs in the United States by helping businesses make more products here and sell them everywhere around the world.